When it comes to online search, Google will deliver the majority of your quality organic traffic. For webmasters and online marketers, virtually hard-wiring your site to Google is a must. As a full-time online brand builder, I have learned a lot over the past 10 years of working on the Internet. This is not exactly rocket science territory here. Google is the biggest entity on the web, especially if you go the free organic traffic route. There are tons of ways to market online which don’t involve Google at all, but for the purposes of this piece, I will be discussing ways any webmaster or marketer can better connect their site and content with Google. Plus, I will also give you some reasons why this is a smart marketing strategy on your part. The first technique you must perfect is how to get your new content into Google’s Index within minutes, if not seconds. These days with social media sites this can be easily achieved. It may be as fast as your latest Tweet or Google Buzz. Google News is another easy way to instantly get your content into Google. Press releases are another immediate way to connect your content with Google. So too is something as simple as making a video and posting it on YouTube which is Google Owned. Note: Google has recently revamped the YouTube system and provided many ways webmasters can view the linking data and stats; great source of information for webmasters and marketers. Needless to say, keywords rule the web and Google. You must attach your content to keywords people are using to find stuff on the web and build top 10 rankings for those keywords in the search engines, especially Google. Now if you’re new at this, Google gives you some valuable keyword tools you can use to see how many searches are made each month for a keyword phrase and also gives you some idea of the keyword competition you will be facing. I like using google.com/sktool and also labs.google.com/sets. Besides, you must start your Google courtship off on the right foundation. Next, you must realize Google is not really a search engine but a business. The main goal of this business is to supply quality content to web users so that these users will use Google over and over again, allowing Google to attach ads and make a profit. The key to getting and keeping Google’s attention is fulfilling your part of this “quality equation” with superior content which surfers want and find helpful. 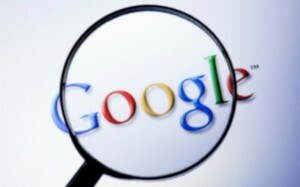 In a recent WebProNews video interview, Matt Cutts said Google has (200) signals it uses to rank content on the web. Most webmasters refer to these as ranking factors, but in truth, they are really signals that your site gives off… provide the wrong signals and it could spell lower rankings. So if you want to keep your site in Google’s good graces, you have to follow some simple SEO on-page rules, such as placing your main keyword in the Title, in the Heading, in the Body and in the URL. Make sure your site is easily navigated by your visitors and especially by the search engine spiders. Keep your linking structure simple, with no links more than three clicks away from your index or homepage. In my opinion, getting quality related one-way backlinks is the most important way to get top rankings in Google. In recent years, Google has gone out of its way to help webmasters understand all these simple SEO basics. And as far as I am concerned, one resource every webmaster should be using is Google Webmaster Tools. This is a whole suite of tools and information webmasters can use in correlation with Google. Recently, in Webmaster Tools Google has made available Click-Thru data on its search engine results so that you can find out how many impressions you’re getting for a certain keyword and your click-thru or conversion rate. Some webmasters are questioning the accuracy of these numbers, but it will give you some indication of how well your site and content is doing in Google. Perhaps, another just as valuable program is Google Analytics, where you’re really giving Google access to all your site’s information. You can use Analytics to measure different links/content on your site to see how well it performs. More importantly you can use it to fine-tune your conversion rates in order to make more sales. I also use it to test-out different graphics, different sales copy, different site layouts… and so on. But a word of caution, don’t just use Analytics. As an online marketer you want many sources of information, so regularly study your traffic logs and raw site data. Even with Google and probably especially with Google, you should always cross-reference any data with other sources on your site and on the web. There are several Google programs which I use to further connect with Google such as Google Docs, Google Knol and iGoogle. One must-have program is Google Accounts, which basically connects me with all my different programs within Google. I have found managing all your Google programs is much easier from this one location. I also like using Google Profiles and Google Buzz to get my content quickly into Google and onto the web. As you have probably guessed already, Google does have a lot of programs which webmasters can use to improve their content’s performance. In the process, by using and intertwining your content with all of the Google programs highlighted here, you’re really connecting with Google en masse. While many marketing experts will say it is foolhardy to marry all your content to just one search engine, I have found over the years that hard-wiring your site to Google really makes your content readily accessible in the most dominant presence on the web. Doing so not only gives your content the attention it deserves, but it can also help further your goals. Actively positioning your site and content firmly within Google’s many different facets can prove beneficial for any webmaster or online marketer.